~~This motor mount set is part of the new stern line of performance enhancements for the Audi and VW vehicles. 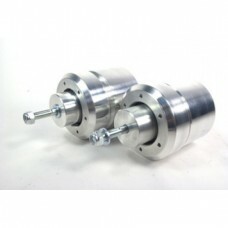 This kit is designed as an upgrade to the soft factory motor mounts which come standard with these vehicles. These heavy duty motor mounts are offered in two firmness levels to suit any performance application. Low and medium durometer polyurethane is used to help keep excessive vibrations to a minimum while still providing excellent strength and damping characteristics. These mounts maintain full isolation between the engine and chassis limiting the transfer of vibrations into the cabin. • Packaged as a pair.